Yes... How I wish it were summer again! As hot as it gets here, I'd rather have that instead of this cold!! Brrr.... I have a love hate with the cold. I love to bundle up, but then I get too hot doing errands or being inside places that I begin to peel away the layers and then left with a pile of clothes to hold! So, in the end, I would rather wear flip flops, shorts, and a t-shirt with an occassional sweater! 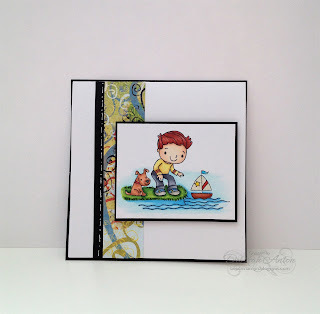 With that in mind, I played along with Your Next Stamps SCS sketch challenge using an oldie but goodie stamp from them. I think its adorable, reminding me of my boys when they were young. You can find the sketch here. I colored the image with Copics and used some Basic Grey scraps for the side panel. The card is a 4.5"x4.5" with a back black panel- perfect for tucking away inside a gift or lunch box. I finished it off with some white faux stitching I drew along the side black panel. Super CAS! I have another candy winner too! That would be CATHY! Thanks to everyone who played along! I hope you all are having a great day and thanks for peeking in! Happy Wednesday! 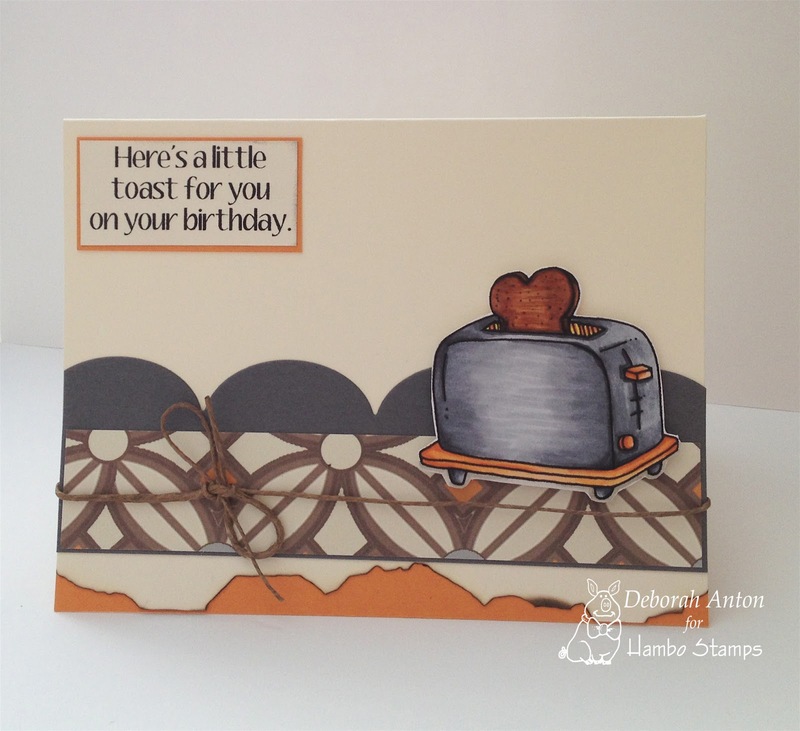 After a week break due to Thanksgiving, it's time to once again Hoedown with Hambo Stamps! 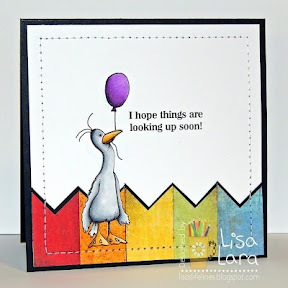 I loved the simplicity of the card with the image being the focal point. 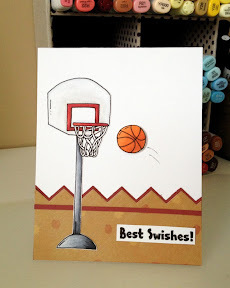 I kept all my layers flush while the basketball is popped up and I added the "swish" to the ball. The image is colored in with Copics. We hope you will play along with us this week and don't forget to stop by the hoedown to see what the other Bacon Bits created! Thanks for stopping by and have a great day! Well it is back to the grind on a one way road to Christmas! 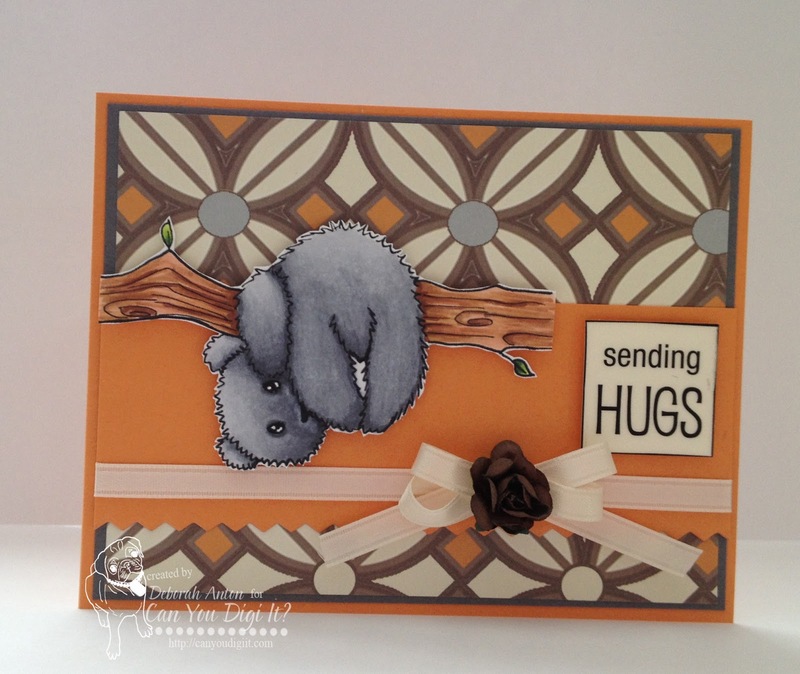 Todays card was made for yesterdays SCS CAS challenge here. I used some silver shimmery dp for the back base while the snowflakes were cut using MFT's die-namics and then embossed with some glitter ep. I can't remember the last time I embossed but I am glad I did. It gives it a nice shimmer and no glitter falling off! : ) I popped up the snowflakes and finished it with a rhinestone in the center of each and a ribbon along the side. 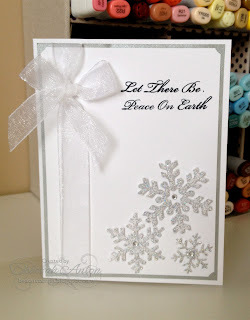 The sentiment is from Flourishes Peace set. (one of my favs!) This took little time to do and made for a pretty card for the holidays! As mentioned, I have another blog candy giveaway to present! 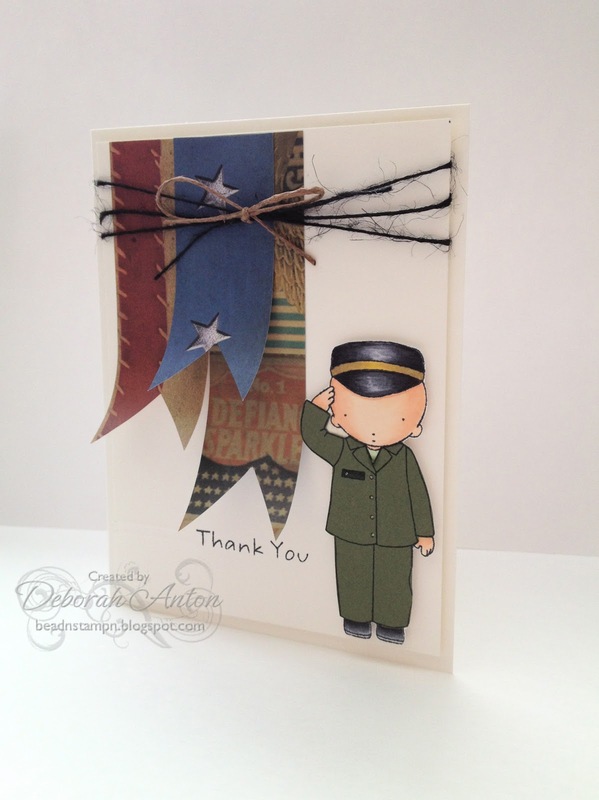 It is a Graphic 45 collection of dp's along with some embellishments. I used a few sheets from each collection for a project I was doing so they are not 100% full. Also included is some ribbon, Prima Poinsettas, and a pack of felt flowers from We are Memory Keepers. All you have to do is leave a comment and I will pick a winner Thursday! Again, this only open to US residents. Thanks for stopping by today and I hope you are having a great one!! I hope you all had a great Thanksgiving and enjoyed some great company while getting stuffed! With all the preparations of Thanksgiving I realized that I never picked a winner from Day 3! I apologize for that! So, the winner will get a little extra something in the package for this mistake of mine! In the meantime, I made this anniversary card for my sister and her husband as it is quickly approaching the day! I always tend to be late as it is so close to Thanksgiving, it gets lost with all that hub bub! : ) Not this year!! I am ahead! Woot! Thanks for stopping by and enjoy today... not shopping!! Today is the kids last day before the Thanksgiving break. I made them some treats similar to the witches hats I did for Halloween except they look like Pilgrims hats. I used some treat cups I found at Target and added some fun clear stickers to the front and placed 3 hats into it. 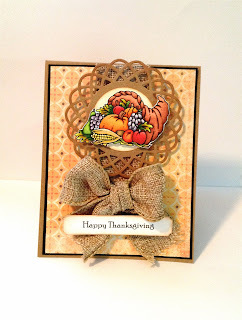 I then placed them into a cellophane bag, tied it with some twine, and finished it off with some Autumn die cuts I had from K&CO stamped with Happy Thanksgiving. Something simple and can be mass produced. Hopefully the teachers will enjoy! Well, it is day 2 of my blog winner for Saturdays candy of the Ella Blue collection. Here is the winner: CATHY! Gorgeous paper and bows, thanks for the chance to win. Cathy, please send me your info so I can get your goodies out to you! Thanks for stopping by! Monday again! This Monday thing just keeps coming around faster each week! But, at least it is a very short week for all. I colored the image with Copics and kept it CAS. I used scraps for the dp and colored banners. I finished it off with part of a border sticker from SRM Stickers at the top and some MS ribbon as well. Glad things are settling down Deborah! Hope you have a great one! LYN! Please message me you address so that I can send these goodies off to you! Congratulations! If you haven't played along, there is still time for the other candies I have posted! Don't forget for those of you who follow or subscribe... you get an extra entry! Thanks for stopping by and taking a peek!! Another day, another blog candy post! :) I have survived the Thanksgiving grocery shop craziness today... I normally don't wait this late, but since this year it is just us with no family to share it with, I wasn't pressed to ensure it was all together earlier on. So, I got us a small turkey with no death match in the frozen isle- score! All in all, I am ready for a cooking extravaganza! Today's candy includes three MFT sets that have retired and I have either used once or never. Also included is a spool of ribbon that is school themed and some Fiskars embellishments. All you have to do is leave a comment and for this one, I will pull a name on Wednesday morning. As usual, followers/subscribers have an additional entry! Good luck! Day 2 of my Blog Candy Weekend! A full pack of GCD's Ella Blue 8x8 pad of paper along with a small Unity Stamp set collection and some satin bows. Again, all you have to do is leave a comment and I will choose a name Tuesday morning! Good Luck! (This is only open to US Residents) And as always, subscribers get two entries! Woot! It's the weekend and I am so happy to be able to sleep in and get this week behind me! I have had such a busy week that it's time to stare at the wall! :) I can't believe I am home to write this! LOL! This contains Echo Parks Times and Seasons, one sheet of each design and it is double sided, an Ippity stamp of Books a flutter, a box of metallic brads, a pack of gemstones and twine, and some acrylic letters! All you have to do is leave a comment here and I will choose a winner Monday morning! Subscribers get an extra entry too! This is open to US residents only. Good luck! Autumn... I just love this time of the year! The leaves are falling, the air is crisp, and the nights are longer! :) You can't go though the season without incorporating a cornucopia to your home decor! 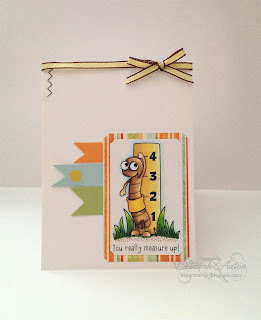 This week at the Hambo Hoedown, we are using the new image of Cornucopia along with the challenge of using burlap! For this card, I colored in the image with Copics and cut it out. I popped it up on a doily cut out from MFT's die-namic duo set. I used some unknown dp with Kraft cs. I finished it with some burlap ribbon and the sentiment cut out using MFT's sentiment dies. Come play along with us this week and show off your awesome creations! Hambo images please, but in return, you will receive next weeks image FREE!! Not too shabby! Be sure to stop by the Hoedown to see what all the other fabulous Bacon Bits created! Thanks for popping in and have a wonderful Wednesday! A day late, but I hope you all had a great long weekend this holiday and I also hope you thanked a veteran for their service to our country! In honor of my veteran, I made a card to thank him for his selfless service using MFT's Pure Innocence Soldier Boy. Here is a picture of my veteran and I can't thank him enough for doing what he does for our family and yours! I wanted to share with you an image from Can You Digi It? called A Creative Santa. I really liked this image and thought it would make for a nice card. I think it has been long enough since I have posted any Blog Candy. I am gathering some items up so keep your eyes peeled! That is about it for today and I am off running! Crazy busy today.... Thanks so much for popping in! Well! It's the day after the Elections and we still have things to share and talk about! : ) It's time to Hoedown and wish a very special person a very Happy Birthday! (A day early) Happy Birtday to Tim- A.K.A Timbo! He is the man behind all the hilarious illustrations at Hambo Stamps and keeps the laughter going. The Bacon Bits have put together this weeks creation in honor of Tim's birthday! 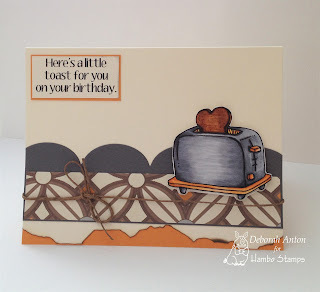 The new digi image this week is Toaster and the challenge is to have burnt edges or something burnt in your creation. For my card, I burnt the bottom of the card while placing a strip of orange cs to bring it out a bit more. I realized that I have used the same dp and color coordination as yesterdays post, sooo I hope you like it!! LOL! I colored in the image with Copics and cut the image out to pop up. 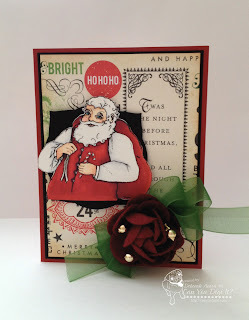 I used MFT's large scallop die for the top strip and finished it off with some twine. Simple and can be masculine. Thanks so much for stopping by and do hope you join us for the challenge. If you do, please use only Hambo images and with that, you will receive next weeks image free!! It's a pretty good deal! Don't forget to stop by the Hoedown to check out the other Bacon Bits creation as well!! Have a fantastic day! The day has fianlly arrived! It's election day- I hope you all got out to vote because your vote counts! This should be an interesting race and look forward to following the outcome. 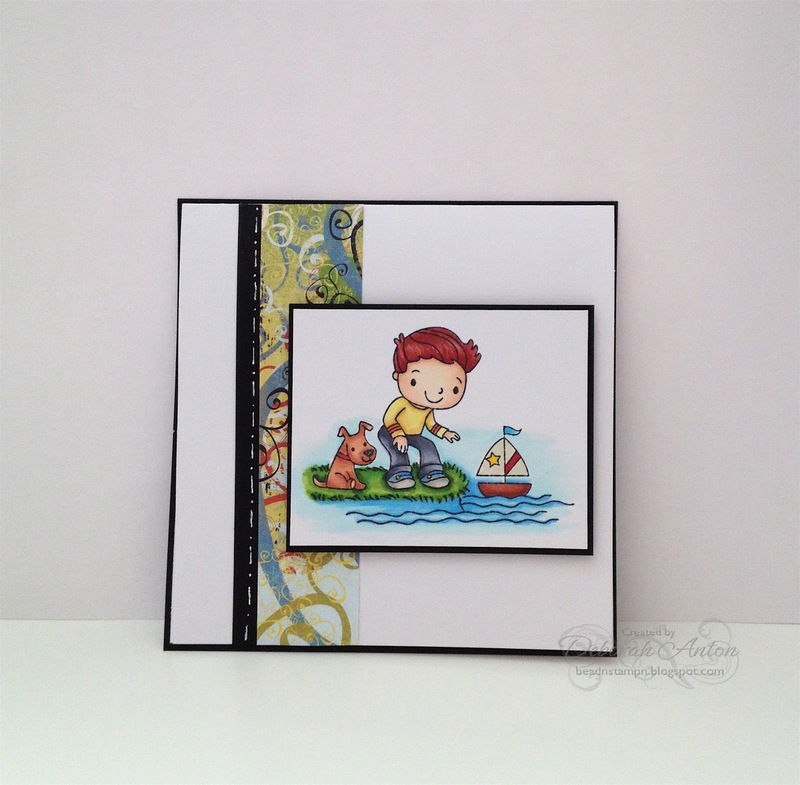 Today, it is an inspiration day over at Can You Digi It? of your favorite animal! The DT has come up with some great creations using some digis of some artists that are featured. 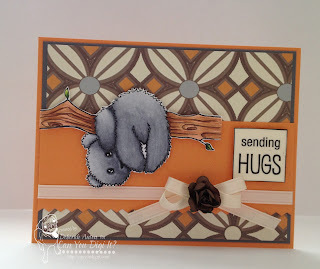 For my card, I used an image from the artist KiniArt and the image called Doodle Bear. I colored the image with Copics and cut it out to pop up. I used some dp from Websters Pages and some cs from MFT. 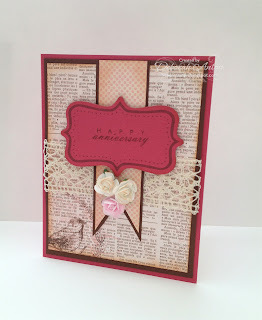 The sentiment is SRM Stickers and I finished off the card with some ribbon and a paper flower from the Paper Studio. Thanks so much for stopping by and taking a peek! Don't forget to vote if you haven't yet!